Can you believe Memorial Day is sneaking up on us . . . let the summer fun begin! 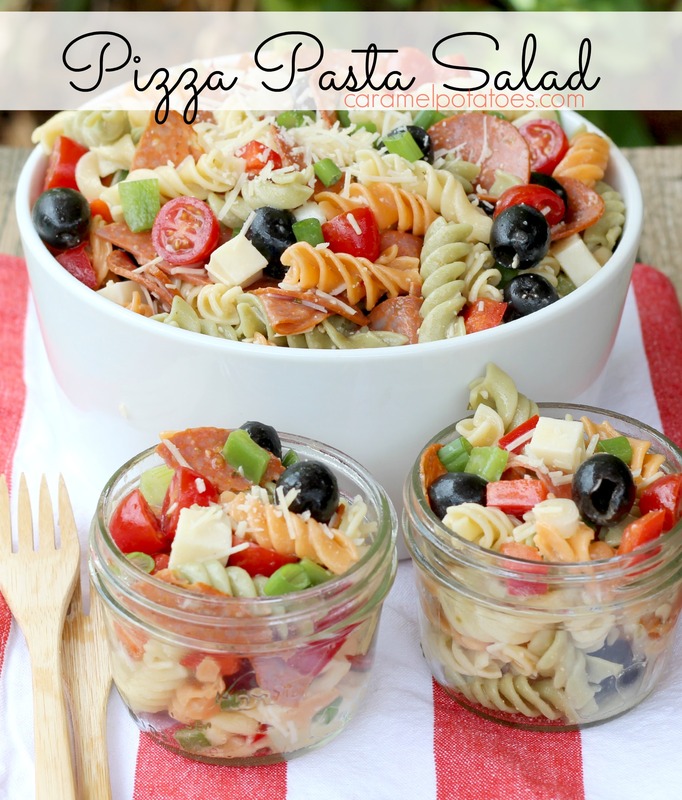 If your sunny season plans include BBQs, family reunions, or outdoor entertaining, this pizza pasta salad feeds a crowd and has all your favorite pizza toppings in a delicious pasta. Pepperoni, Olives, Cheese, Peppers, Tomatoes, Onions . . . it’s all there. 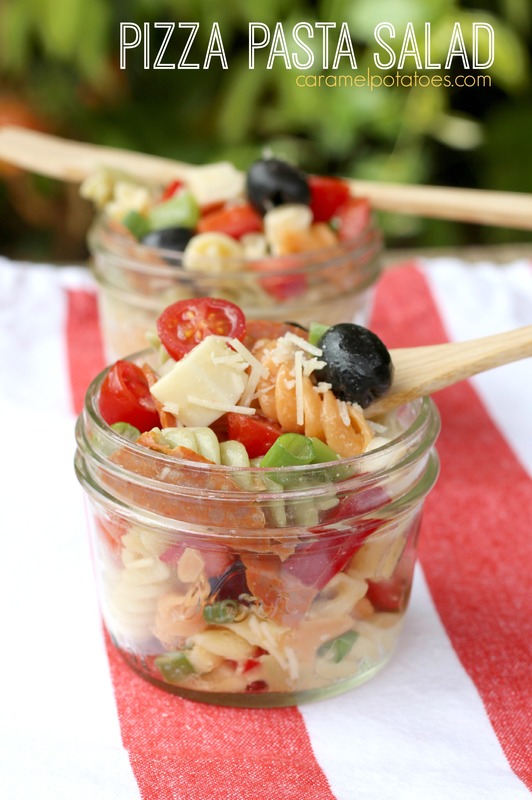 Mix it up ahead of time for picnics and parties, or keep it on hand for fast and easy, cool summer suppers. Toss together the noodles, pepperoni, olives, cheeses, peppers, tomatoes, and green onion. Stir in 1 cup dressing. Refrigerate at least 3 hours or overnight to allow pasta to soak up flavors. When ready to serve you will need to add more dressing as needed. Note: Olive Garden dressing packs a lot of zesty flavor as you know. 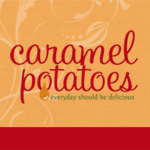 It is now in my Walmart and Kroger. If you can’t find it, you may want to add a tablespoon of dry Italian Dressing Mix to your regular Italian Dressing. When I make this I add the cheese right before serving, otherwise its texture is compromised. I can’t eat pepperoni. Do you think canadian bacon would work? Sure Canadian bacon is a great substitute. Hello. I was wondering if you can tell me how many servings this recipes makes. Thanks! Christie – it probably serves 8-10.